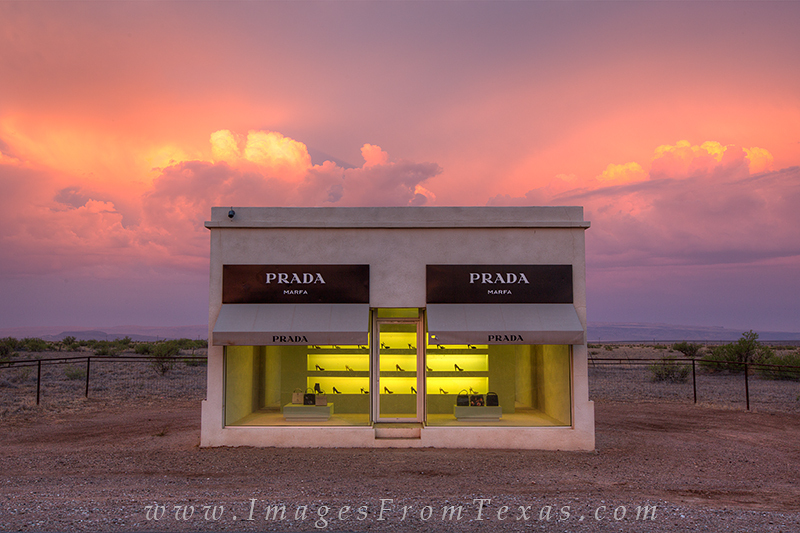 While not in a national park, Marfa Prada does sit between Guadalupe Mountains and Big Bend National Park, sort of. This unique structure is a permanent art display dedicated in 2005. It rests between Van Horn and Valentine, Texas. This view of the small building was taken in the early morning as a thunderstorm rumbled in the distance. Photo © copyright by Rob Greebon.